We arrived in chilly Hangzhou in the late hours of the evening. Immediately after exiting the airport terminal, my throat was ambushed and became slightly irritated by the choking smog. Thankfully, after a few minutes waiting for a cab, my respiratory system became accustomed to the air and all was well. Upon boarding our cab to our hostel, I noticed that the cabbie was shielded by a huge plastic casing, which I can safely assume is to protect the driver from muggings. I tried to tell the driver where to go with whatever poorly strung Chinese phrases I could muster up. We both drew blank stares at each other. Within the first hour of landing in China, I became terribly anxious over the weather, my safety and miscommunicating with the locals. It was going to be an interesting 48 hours in Hangzhou. Thank my lucky stars that I was travelling with my fellow Travel Intern, Clara. She professes that she only has a basic understanding of Chinese but she’s better than me by leaps and bounds. She not only was able to tell the driver where to go but was able to hold a conversation with him about his family and the weather. I was checking my offline GPS, observing that he was indeed taking the shortest route to our hostel. When we reached our destination, we paid the exact fare shown on the meter and the driver helped us with our bags. Ultimately, he was friendly, courteous and honest! Later, I would soon find out that generally most locals that I encountered during my trip were all like that which made it very pleasant. 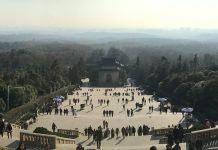 When you mention Hangzhou to someone who is familiar with the city, he or she would immediately bring up “Xi hu” or West Lake. 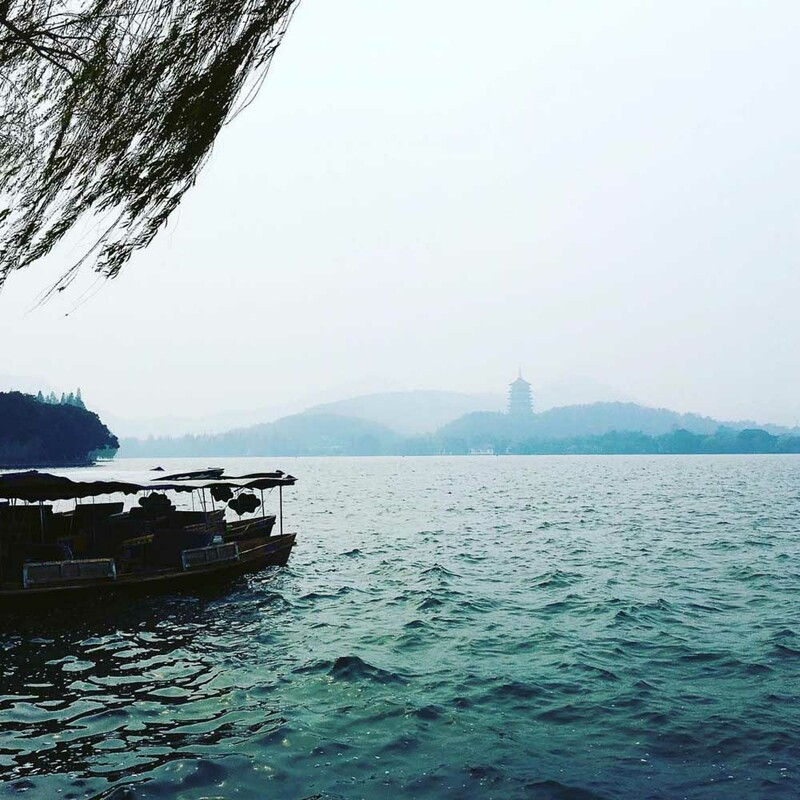 West Lake is pretty much synonymous with Hangzhou as it is its most popular attraction, and for good reason. The large man-made lake is representative of the classical beauty of China you’d expect. With beautiful pagodas protruding from the horizon of hills and willow trees, while watching the boats calmly traverse across the waters, West Lake is picturesque from any angle. Yes you can even dress up in cheesy costumes for pictures. 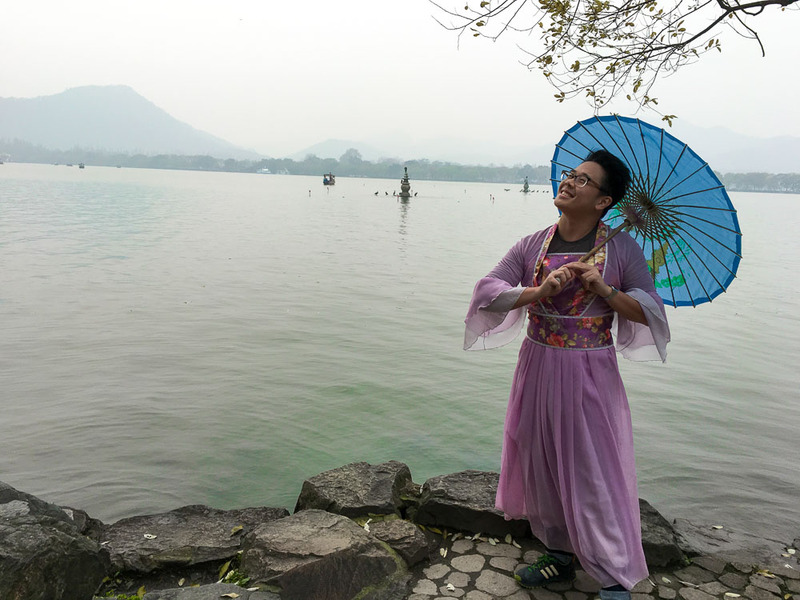 There are the famous Ten Scenic Sites of West Lake, which would be hard to visit all at one go. The most popular would be Three Pools Mirroring the Moon. It sounds a bit strange but that’s because it has been literally translated from its more poetic Chinese counterpart, 三潭印月 (Sān tán yìn yuè). The Chinese would all know about it because the scene is printed on the one yuan bank note. It is possible to spend a whole day here but it would be quite exhausting to walk. The best way to get around would be to rent a bike or take a ferry from one point to another. 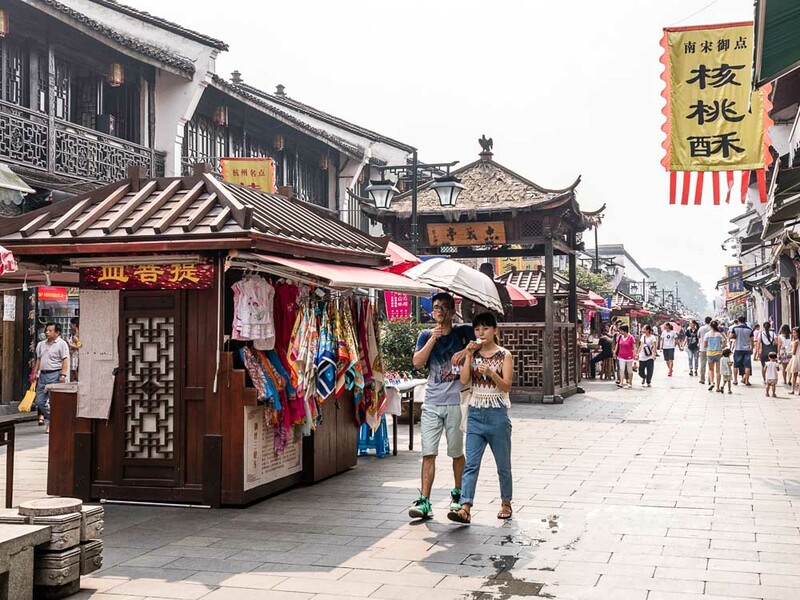 Qinghefang Street (清河坊街, Qīng hé fāng jiē) is an old pedestrian street also at the south end of Zhongshan Middle Road. The street is bustling with both locals and tourists. 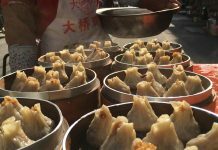 It is lined with shop houses and littered with makeshift stalls, which sell teas, silks, trinkets, paintings and traditional snacks. 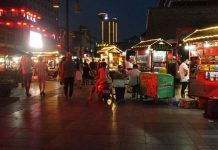 There are plenty of local food options here or you could settle for the familiar McDonald’s or coffeeshops. 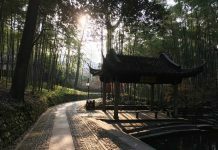 Wushanyi International Youth Hostel is located at the south end of Zhongshan Middle Road, just off Qinghefang Jie and a 15-minute walk to West Lake. It was bright, clean and quiet. The hostel provided many useful amenities such as a laundry service, Wi-Fi connection and computers. Though it does not position itself as a party hostel, there are plenty of opportunities to socialize with fellow travellers, domestic and foreign, in the common area. Other “tasty treats” you can find on the streets. 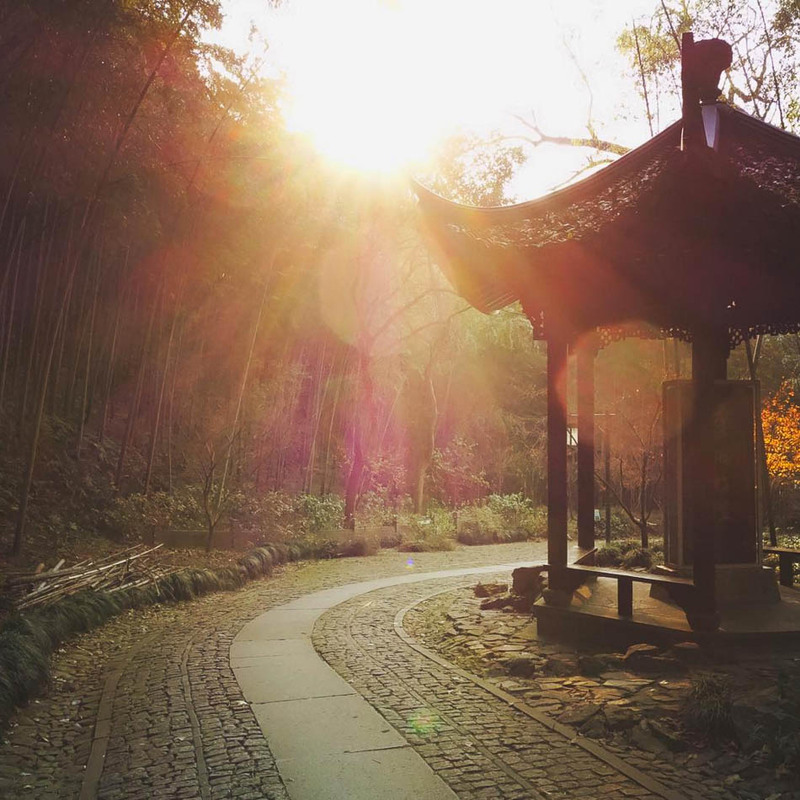 Southwest of West Lake lies a quiet beautiful bamboo forest that is relatively unknown to tourists. The bamboo-lined path here is similar to the famous Arashiyama Bamboo Grove in Kyoto, Japan but just without the crowd! This scenic park takes on a different look with the different seasons. We got to see it during fall and winter, which gave the tall surrounding trees vibrant autumn hues. The park has a large interior, which would take a long while to fully explore so do go early in the morning to avoid disappointment! 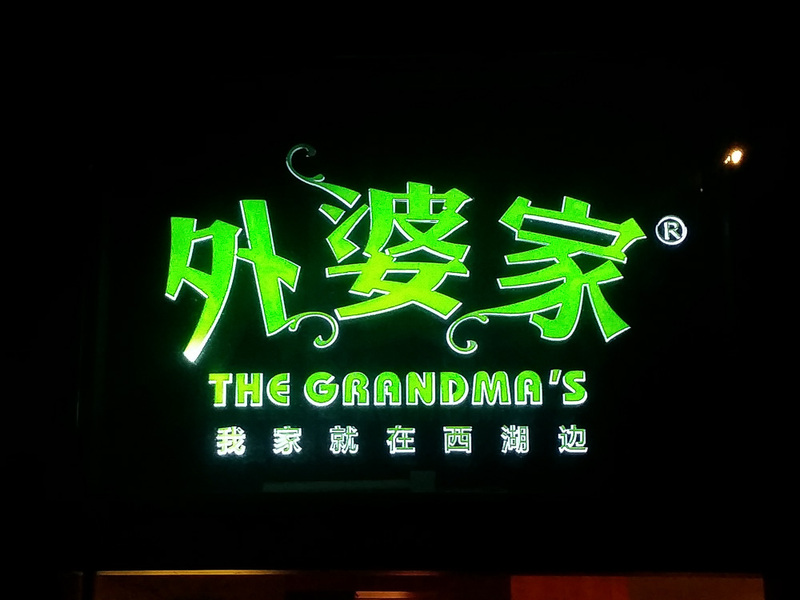 Grandma’s Kitchen is a fantastic place to have a taste of Hangzhou cuisine in a comfortable. There are a number of outlets throughout Hangzhou and they’re usually very crowded a few hours into meal service. You should visit early if you want to avoid waiting. 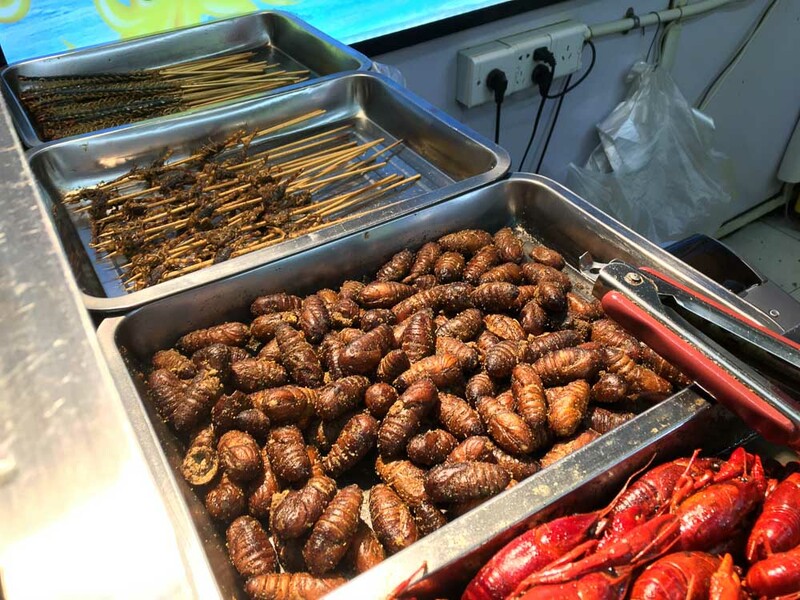 It is also ideal for tourists as there is an English menu with large pictures so that customers will have a better sense of what the dishes are. 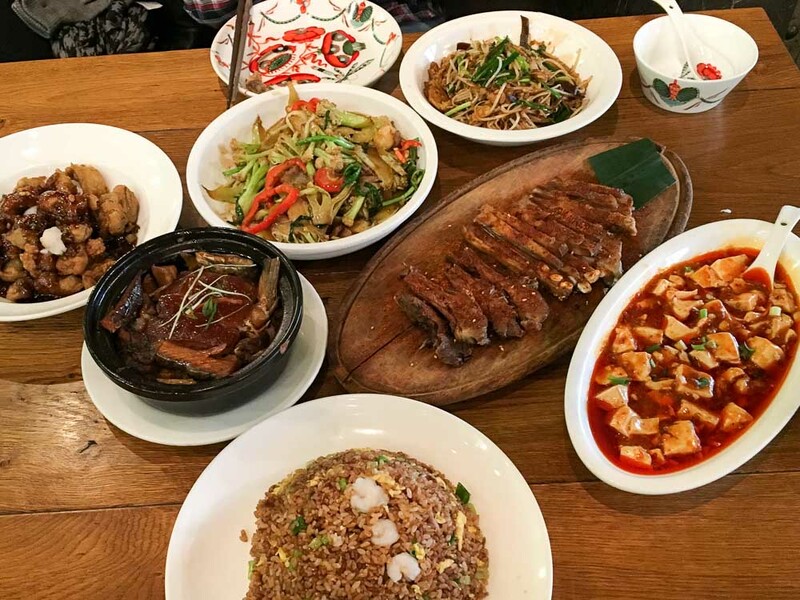 The best part is that the dishes are priced very reasonably (about S$10-15 per pax). A must-try dish is the Dongpo Pork, which is pork belly braised with salted fish and bamboo. The meat is so tender and succulent just melts in your mouth! We seem to always over order. 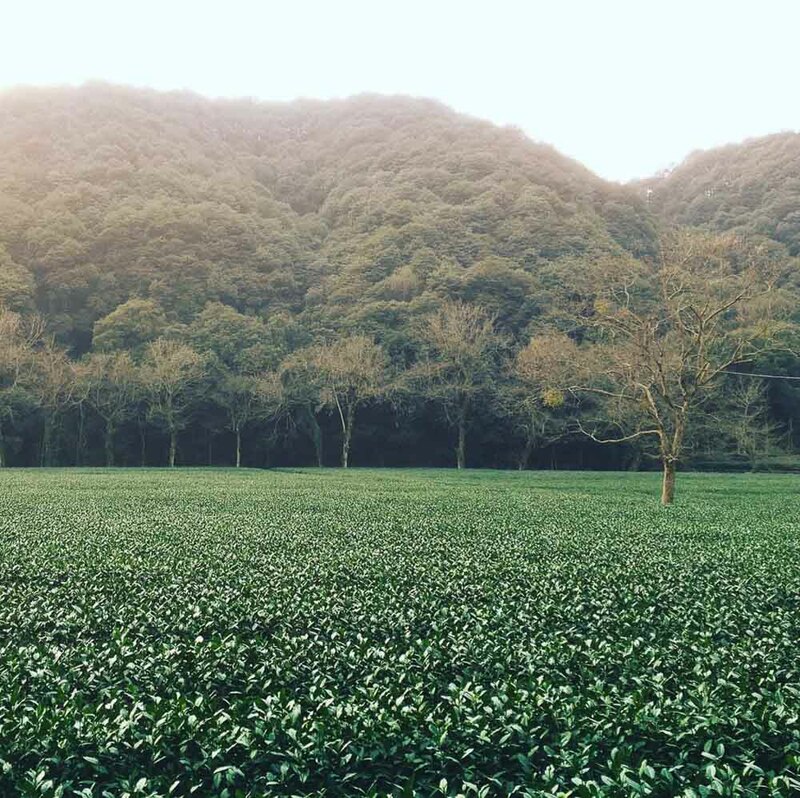 Just a short drive north of Yunqi Zhujing is Hangzhou’s famous Meijiawu Tea Village. This plantation is world-renowned for producing Longjing Tea or Dragon well tea, which is a type of pan-roasted green tea. The village comprises of over 150 teahouses in which tourists can learn and appreciate the production of tea or even tea ceremonies. Though you can be rest assured that you’re having the best longjing tea in Meijiawu, there are still different grades of the tea with some costing from 10 yuan to 100 yuan per serving of tea leaves. Big thanks to Scoot for the flight to Hangzhou! It was my first time flying Scoot and I was surprised that it didn’t seem like a low cost carrier at all. We were in the adult only ScootInSilence quiet zone, which gave us some peace and quiet aboard the long flight. Their new 787 Dreamliners were spacious, and the extra legroom was comparable if not better than the economy class seats on other full-service airlines. 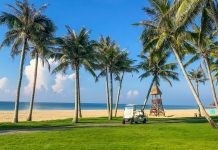 Scoot flies 5 times a week from Singapore to Hangzhou. 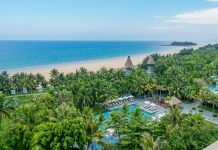 Do check it out! That’s a great suggestion Andrew! Oh, Hangzhou looks cozy and brings me a feeling of nostalgia of the dramas and movies that I have seen. It’s really a great getaway from the hustle and bustle life in Shanghai to balance our life even just in 2 weekend days.